With so much attention focused on the Mardukite Core “Necronomicon Anunnaki Cycle” developed by the Mardukite Research Organization (Mardukite Chamberlains) from 2008/9 through 2012 [Mardukite 1.0 — 4.0], it can be easy to overlook the more contemporary archaeological recent efforts beginning in 2012 and continuing through 2013; important supplemental work that compliments the original core (available in either four annual volumes, individual stand-alone titles, or now even as a two-volume mega-anthology “silver” and “gold” edition set of the Necronomicon — Anunnaki Legacy (Silver Edition) and Necronomicon Gnosis — Anunnaki Legacy (Gold Edition). 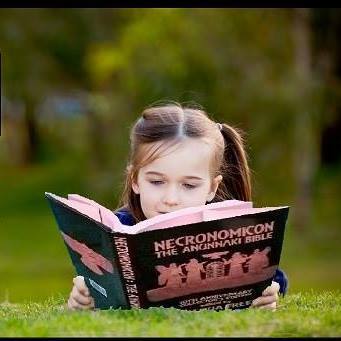 In spite of its esoteric name, the “Necronomicon Anunnaki Cycle” is the most readable, complete and comprehensive archive dedicated to the ancient archetypal Anunnaki traditions of Mesopotamia, including the very system origins of the Sumerians, Babylonians, Assyrians, Akkadians and the like. These same beliefs went on to change the nature of the planet, forming a developmental root to every aspect of human civilization, from religion to real estate, all of which can be found in the birthplace of modern man! After the Mardukite Chamberlains refined the four cycles of annual work that form the “Mardukite Core”, further work of a more specifically academic interest has continued, including two works that not only compliment the “Mardukite” work but are also of high demand to scholars in related fields. A comprehensive, practical, concise and economical guide to cuneiform writing, Sumerian language and its refined Akkadian use in Babylon, brought to the surface realm from the underground vaults of the world renown Mardukite Research Organization. Visions and advisement from a great Babylonian seer, Sajaha: futurisitic accounts of the rise of a New Babylon disclosed to King Nebuchadnezzar II. Commentary, new translations and the original German transliteration manuscript are included within this concise volume. 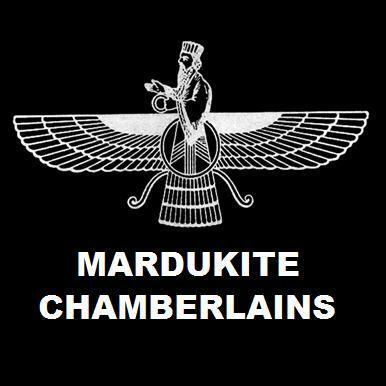 Joshua Free delivers a short commentary describing the history and sequence of the work conducted and published by the Mardukite Chamberlains (Mardukite Research Organization) from 2009 through 2012. Joshua Free delivers a short commentary describing the original founding work conducted and published through the NexGen Systemological Society, a division of the Mardukite Chamberlains (Mardukite Research Organization subsidized by the Mardukite Truth Seeker Press. Joshua Free delivers a short commentary based on the Arcanum and Druid Compleat describing the origins of the winter holiday traditional figures, such as Santa Claus and the archaic “Green Man” of this archetype. Joshua free delivers a short commentary based on Arcanum describing the origins of universal winter holiday traditions, such as “Christmas”, strongly based in the European “Yule” customs surrounding the winter solstice.